Dr. Robert Silverstein was an early pioneer of "Conventional Medicine meets Alternative Medicine", both in practice and teaching, long before it was trending. He speaks on his experiences so you, your team and your company can Optimize your overall health of yourself and lead a successful life. 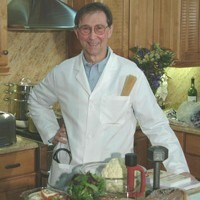 Dr. Silverstein has been educating his patience's and his audience's on how to use food as medicine for many years through his practice, professional speaking and his community TV program. On TV, Dr. Silverstein puts his nutritional knowledge to work in the kitchen with both conventional and macrobiotic cooking. (A "Live Cooking Demonstration" can be arranged for your event upon request.) Why Dr. Silverstein? Given his accomplishments, experience and research in the medical field, Dr. Silverstein will take time to work with you and deliver a "Customized Presentation" to meet the needs of your event/audience that will address a multitude of groups, industries, both leadership teams and the workforce. Maximum Healing Speech Topics: •	Convert Stress to Success for the Health of it •	Heart Disease is often a choice, make the best decision •	Breast Cancer - Prevention and Followup •	Cancer - What we need to comprehend •	Diversity - diet and health among African-Americans Maximum Healing Speech - Takeaways: •	Putting it all 2gether •	How Not to Die •	How to make better choices •	It’s your choice, Food or Drugs for medicine My mission is to help you find a greater FREEDOM to become ALL you can be by arming you with the best understanding of how to be psychologically and physically well. You will be armed with indestructible fact and an approach that has the added benefit of the Scouting motto: "Leave the campsite a better place after you have left than it was before you came." Others will see and recognize that in you. WHAT WILL YOU LEARN? ~Simple proven facts that build your character and success for others to note and profit from also:becoming a leader and/or a shining example ~Influence the groups you are with in an exemplary fashion demonstrating more energy, clarity, and a better performance. Learn to think outside the box, discover the unknown and the courage it will give you. Techniques can be like the invention of the hammer: created long ago, excellent in its original design, no need to improve on perfection. This is a "Yes." Open your and others' minds to elemental truths to create interest and draw proper attention and "yes" to your path.